Trevor Orsinger | Orsinger Law Group, P.C. 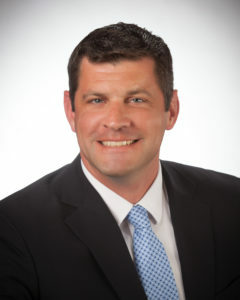 Trevor Orsinger is the managing partner at the Orsinger Law Group, a boutique full-service law firm that handles all phases of residential and commercial real estate planning and development. The firm also assists small businesses in evaluating, identifying, and structuring the best corporate organization to achieve strategic goals. They also offer full-spectrum litigation service in several key areas, including real estate law. In 2003, Mr. Orsinger began his legal career in the Cook County Public Defender’s Office in Cook County. Called by a commitment to serve in the United States military and give back to the place that gave so much to him, in 2006 Trevor entered the Air Force JAG Corps. During his time on active duty he conducted a number of highly visible and complex federal prosecutions. In 2008, he also deployed to Baghdad, Iraq, in support of the task force designed to assist the Iraqi government in rebuilding its judicial, correctional and law enforcement system. While he left active duty in 2009, Mr. Orsinger continues to serve as a Lieutenant Colonel in the Air National Guard. Mr. Orsinger previously worked for CME Group, Inc., the world’s leading and most diverse derivatives marketplace. In that role, he examined the sufficiency of evidence of commodities futures trading violations, prosecuted market participants before CME Group disciplinary panels, led settlement negotiations, worked closely with investigators, data quality analysts, and market surveillance teams to resolve cases, and served as legal counsel to Arbitration panels. Prior to joining CME Group in 2014, Mr. Orsinger worked at Fermi Research Alliance LLC in Batavia, Illinois, the operator of Fermi National Laboratory, where he monitored compliance of the prime contract with the Department of Energy. He also advised executive level personnel on employment issues, regulatory compliance, and transactional matters. Mr. Orsinger also worked for the U.S. Department of Defense, where he counseled senior staff on personnel matters, advised on internal investigations, and assisted the United States Property and Fiscal Office on fiscal law and government contracts. He played a key role in working with military lawyers in the Republic of Poland to develop a lawyer-to-lawyer program under the umbrella of the National Guard State Partnership Program. Mr. Orsinger has authored a number of articles on a variety of legal topics, and wrote The Firefighter’s Best Friend with his brother in 2003. He also the co-founded Sky Farmer, LLC, a Chicago-area technology start up that provides an affordable software platform and a mountable hardware device for farmers to survey and remotely collect real-time data about their crops. He is also an attorney with Pro Bono Network and the Staff Judge Advocate for his local Veterans of Foreign War chapter.